Delicious chocolate cupcake with a gooey Creme Egg hidden inside – these Chocolate Creme Egg Cupcakes are the perfect cupcakes for Easter! Easter is such a great time to bake, you can make anything Easter themed by just adding a mini egg to it! This year I have mainly been making these cupcakes and mini egg fridge cake. Like usual I gave up chocolate for lent which has not been fun as I’ve had a couple of orders for chocolate cake with ganache and even more chocolate on top. Making these and smelling the chocolate was hard, but I managed to make them without even licking the spoon! I read on Taming Twins blog that it is better to lie the Creme Eggs horizontally. I assumed you would place them vertically so the egg was upright, but this makes the egg less stable so it can wobble all over the place. It is also better to use frozen Creme Eggs as this helps them keep their shape whilst in the oven. I fill the cupcake cases roughly one third full before putting in the creme egg and then covering the egg with the remaining cake mix. I’ve tried adding a few different amounts of cake mix before you add the Creme Egg and however much you add, the Creme Egg sinks anyway! 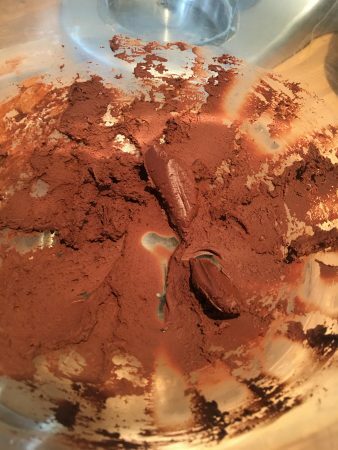 So don’t panic if yours sinks, just make sure there is some cake mix on the bottom and you completely cover the creme egg then you’ll be good. You can use a full sized Creme Egg if you would like but obviously this would mean it is more Creme Egg than cupcake! 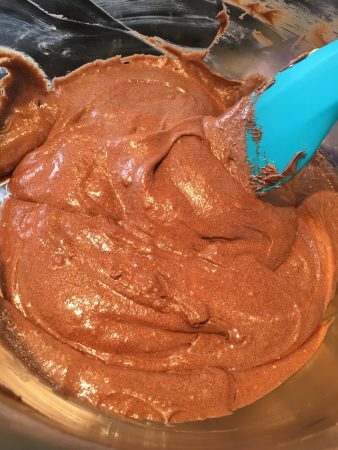 If you want to make them even more chocolatey you could make chocolate frosting. 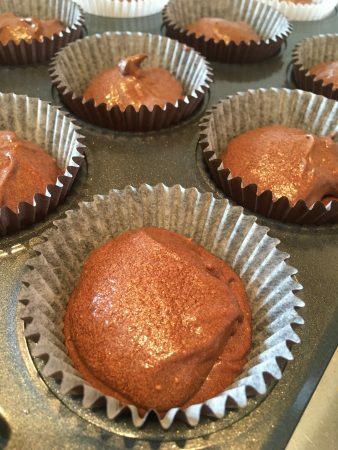 The quantity of frosting in this recipe is enough for a very generous helping on each cupcake. I used a very large piping nozzle which means you can pipe a lot of frosting onto each cupcake. I also used yellow gel food colouring to colour half of the frosting a bright yellow colour. To get the two tone swirled frosting, I spooned each colour of frosting into either side of the piping bag. As the colours come out of the piping bag, you won’t necessarily get an even colour distribution right from the start, but I don’t think this matters. Obviously you don’t need to colour the frosting, you can decorate the cupcakes however you would like. This entry was posted in Cupcakes on April 4, 2015 by Curly. They look cute, Cat! And your piping is perfect, too. Have a happy Easter! Thank you 🙂 Happy Easter to you too.